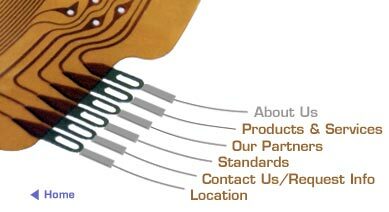 We're an electronics interconnect engineering and component packaging company located in central Orange County, California. We have a 30-year history of delivering competitively priced high-quality products and services on time to help meet your most demanding schedules. Our engineers and designers work with you to provide state-of-the-art products that meet or exceed your expectations. We build quality into our products by reviewing your requirements up front. Then we team closely with you to design a product that incorporates your complete interconnect logic. To ensure we've captured the exact form and fit you envisioned, we create a polyester "paper doll" drawing that exactly matches all interconnect points and layers. Then we carefully test your product using ISO 9001 standards and/or MIL-I-45208A specifications as guidelines. When you are satisfied we've created the highest quality product, we continue to support you by assembling your additional components in our supplier-approved clean room. Before delivering your finished subassembly, we perform a final test to ensure your complete satisfaction. Our partners agree. Basic Electronics, Inc. is the solution to your interconnect problems!